Mix together all the spices and salt. Set aside. In a large heavy bottomed pot saute the carrots, celery, garlic, and ginger in coconut oil until slightly tender. Add spice mixture, stirring quickly to coat the sauteed ingredients. Stir in the honey – vinegar combo. Remove the pot from its burner and take approximately 1 cup of the diced carrots from the mixture and set aside. Pour the water into the pot, mixing thoroughly. Blend the above mixture in a processor until smooth. 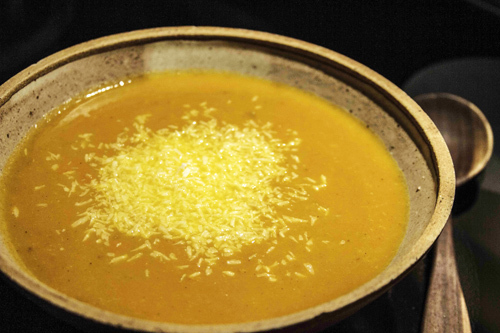 Return the blended soup to the pot and stir in the diced carrots. Reheat and add more salt, if necessary. 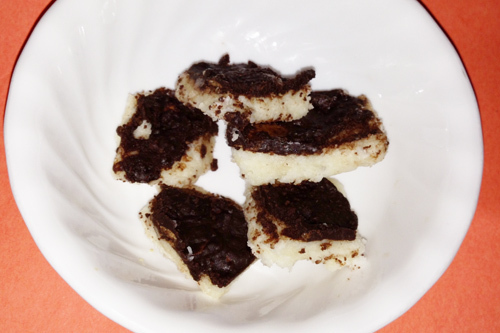 Yummy, especially when sprinkled with coconut! Diane from Hubert, NC just won $50 for this recipe and photo! Submit yours here. Once again I found myself with overripe bananas just begging to be used. No matter how long I tried to hide them in the refrigerator they just wouldn’t go away or stop yelling at me every time I opened the door. Today however, I was finally able to silence them. 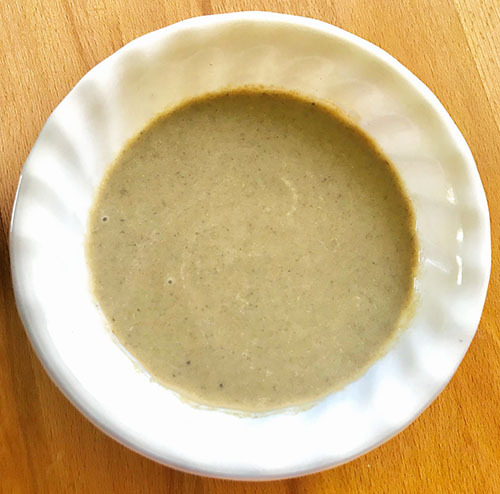 I dug up an older coconut flour recipe that I had been meaning to improve for a while now. The results from the recipe were satisfactory and tasty, but it definitely could be made even better. For me, it has to be perfect. Well, pretty near that anyway. As I wrote earlier in my post about the Coconut Flour Cocoa Banana Muffins, coconut flour baked goods don’t have to be dense and heavy. With just a little of your time, the know-how, and a good recipe, you can make an excellent coconut flour pastry. So, we’re looking at a whole cup of coconut flour (which is a very thirsty flour by the way) and only 2 tablespoons of milk as the “thinning” liquid. The fat (butter and coconut oil in this case) are liquids here, but they act differently then water based liquids and don’t help out too much in saturating the flour. The first conclusion is that there isn’t enough liquid. That means the batter is too heavy to rise and “mushroom” over properly, and will therefore be very dense and heavy. It will be moist and pretty tasty though, since the fat amount is perfect. Another red flag is the sweetener amount. Only 3 tablespoons for 12 muffins isn’t very much. 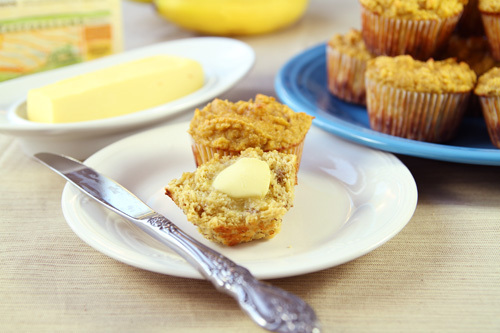 While you don’t want a sickeningly sweet muffin you do want just enough sweetness to bring all the flavors together, instead of leaving it bland. Since we will be increasing the thinning liquid amount, the sweetener will grow blander and will therefore need to be increased as well. I like my muffins to rise really well (since that is the main downfall of most coconut flour recipes), so I’ll add a bit of baking soda. The coconut flour is a heavy flour, so it usually needs more baking soda/powder to get it to rise. Baking powder has a more neutral taste then baking soda, which needs to be countered by the acidity of another ingredient (here it will be the honey). However, I’ve found that baking powder isn’t as potent as baking soda, so you usually have to use more of it, or add a bit of baking soda to help it out. So that’s that. The eggs are fine. Leave them be please; every single one of them is needed to make up for the gluten – don’t find out the hard way! Everything else is fine also. True, they aren’t the prettiest muffins you’ve ever seen, but looks aren’t as important as taste and texture. The tops are a bit irregular, but the muffins rose well and are light and fluffy on the inside, not to mention delicious! Sift the coconut flour, baking soda, baking powder and salt together into a small bowl. Set aside. In a medium sized bowl beat eggs together. And add butter, coconut oil, milk, honey, sugar and vanilla. Whisk together to blend. Whisk in coconut flour mixture and bananas until well blended. Batter will be thick. Divide batter among the muffin tins lined with paper liners. Bake in preheated oven for 20 minutes or until toothpick inserted in center comes out clean. Gently soften or melt coconut oil and coconut cream until you can stir them. Add sweetener and cocoa and mix until thoroughly combined. Pour into small lidded jars and refrigerate so it sets up properly without separating. 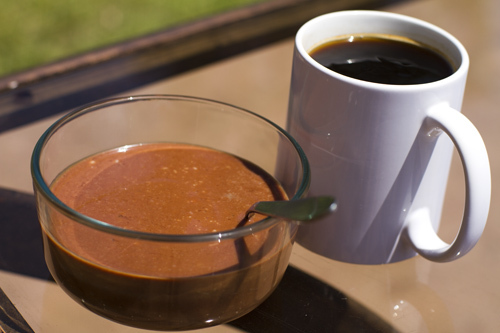 To use: Mix one or more spoonfuls into coffee or hot chocolate. Keeps well and is great for traveling. Remember the last time you wanted to make a recipe that called for mayonnaise only to find out that you were out of it? Making your own mayonnaise is actually incredibly simple and easy. You throw the ingredients into a blender, turn it on, and pour the oil in a little at a time. About 2 minutes later it’s all done! Pretty much the only thing that can really go wrong is turning the blender on full blast without the cap…now that would be a certain disaster. Most store-bought mayonnaises contain soybean oil which we try to avoid because our diets contain too much soy. But that doesn’t mean you have to give up mayonnaise. The recipe I have here is healthy, delicious, quick and easy. Coconut oil and olive oil replace soy bean oil, and if you use virgin coconut oil, it will give the mayo a hint of coconut taste. If you don’t want a coconut taste, use expeller-pressed coconut oil. Because it contains raw eggs, mayo should be stored in the refrigerator. 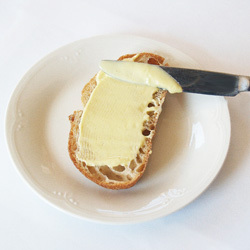 If it gets solid, simply let it sit out at room temperature until spreadable again. While it’s sitting out, you can even beat it with a spoon or fork to hurry it up. Because this recipe does not use refined oils, the color will not be pure white like the store-bought kinds. The natural color of the olive oil and egg yolks give it a light, mustard yellow color. 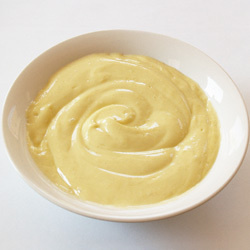 The recipe below is a simple, tasty and easy recipe for homemade mayo. You can add garlic, paprika, onion powder and other spices and herbs to customize it to your personal taste. So what are your favorite flavors to add to mayonnaise? What do you like to use it in best? 1. Put the eggs, mustard, lemon juice, salt, and pepper into a food processor or blender. 2. 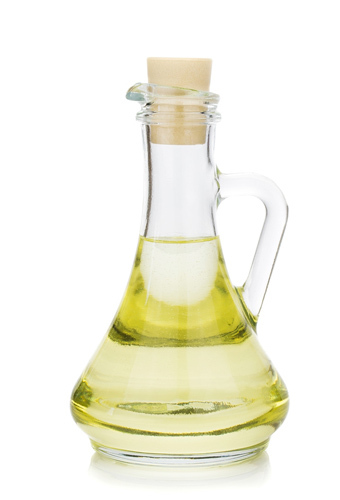 With the processor or blender running on low speed, start adding your oils very slowly. Start out with drops and then work up to about a 1/16-inch stream. It should take about two minutes to add the oil. 3. Continue blending until there is no free standing oil. Although coconut oil sets up when cooled I’ve found a way to use it as a salad dressing! This dressing is subtle and delicate and compliments the taste of the salad components without over powering them. Delicious! Place coconut oil into a small metal bowl and add vinegar. Whisk briskly; mixture will be thick. Add honey and salt and whisk until well combined. To thin mixture place into a saucepan of simmering water and continue stirring. The dressing will quickly liquefy and when it becomes slightly warmer then room temperature it can be tossed easily with chilled greens. In a mixing bowl, cream coconut oil, butter and sugar. Beat in egg and vanilla. Combine flours, oats, baking soda, cinnamon, ginger, and pecans. Stir into creamed mixture alternately with pumpkin and water mixture. Fold in chocolate chips. Drop by tablespoonfuls onto greased baking sheet. 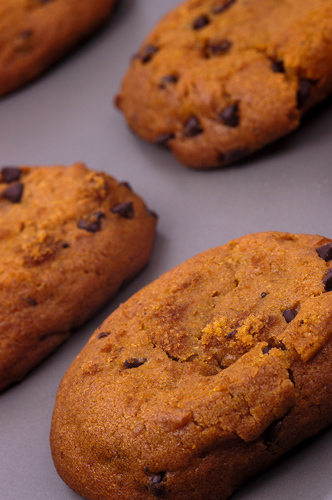 Bake in preheated oven for 8-10 minutes or until lightly browned on bottom of cookie.